I asked the boys to set up my speakers on a different computer today. with John home on holidays, has has moved my laptop into his study so that we could be together. Isn’t that sweet? 😎 However, while cleaning the home school study today, I wanted to listen to Paul Potts but needed my speakers connected to the girls computer. I am actually quite computer illiterate and haven’t a clue what to do so I asked my boys to help. The boys are usually most willing helpers at any time but especially with computer or technical type gadgetry related issues. I think it makes them feel good to be able to do things that I can’t. However, John was ‘helping‘ ‘Master C’ to do it. In other words, he was leaning over ‘Master C’ , trying to rip the cords from his hands and completely take over the job! I gently suggested that they learn to cooperate…no response. I gently suggested that they learn to work it out – fast! I went on with cleaning. ‘Miss A’ was cleaning the kitchen and I started talking to her about a Christian’s way of not provoking one another anger or exasperating one another, about preferring one another in love. I quickly realised that she has heard it all before. Not to say she can’t do with hearing it again but I should have been talking to the boys, not to her! So, I asked the boys to stop what they were doing and I called them to the kitchen table to sit with me awhile. I explained my thoughts to them and then asked them for their thoughts on the matters I raised. We then got to talking about teaching each other and how that needs humility. I mentioned that I taught and gave opportunity to both ‘Miss A’ and ‘Miss R’ to teach and that next year, I shall put that on my planner. 😉 I need to teach John how to teach in love, in humility…that a teacher is not a dictatorial boss but a servant. I need to teach him those basics of communication…that once he knows what he wants to say and who he wants to say it to, he needs to think of how it will be received…for that is the mark of a teacher. (Uh oh, I feel another 5 W’s and a H lesson coming on. 😉 ) But more than just being the mark of a teacher, it is important and basic communication skills necessary for life. This morning’s life skill lesson took about 15 min, although it will now be an ongoing process of modeling (living by example), teaching and learning that I will be able to build upon. Today’s valuable lesson took all of 15min on a Saturday morning. There were no worksheets, tests, cut-outs, activity sheets nor any pop quizzes. There were no teacher planning notes or preparation needed. What was needed? A willing heart! A serving heart. A selfless heart. A willingness to stop my own activity and minister to the needs of my child, in love. A willingness to be proactive rather than reactive, for it is easier to deal with these things either before they rear their head or as it comes about naturally rather than leave it and have an ugly mess to deal with. It is simply living life with my children, according to Deuteronomy 6:4-9. How thankful I am for these daily opportunities to minister to my children. Am I willing to stop the dishes or put down those teacher notes (or stop writing that blog post? 😯 ) and address my child’s need right at this moment? Do I remember that these lessons to be learned are far greater than knowing about Zeus or the Spartans or even the orbit of the earth? Each and every day that I am with my children is a precious gift…Lord, help me make the most of the time. Help me Lord, to treasure it, to guard it jealously. What is most important? To teach my children about real life and the Creator of it all. If my child is not tending to his lessons and is being easily distracted, I’ll try to stop- observe him for awhile. The distractibility is simply often a sign that something needs to be addressed. Maybe he needs shorter lessons, different material or a different presentation of that material. Maybe he needs to have his attention span lengthened. Maybe he needs his emotional tank filled…there are so many things it could be. Stop, watch him, ask him how he feels, listen to him and then talk with him. And above all, pray for guidance. This is what I often do, but not always. It’s what I want to do more often. When my girls fight or argue, the quickest and easiest thing to do is for me to speak sternly and tell them to stop it! But does it address the root of the issue? Oh, I need to remind myself not to be too quick to get back to those lesson plans or schedules for the matters of the heart do not follow a timetable. Sometimes…many times, I need to stop, watch, ask, listen and talk and above all, pray. Then after prayer, a similar process needs to occur: pray, stop, watch, listen. Tomorrow or the next day, will I be willing to put aside my hustle and bustle to truly minister to the needs of my children? 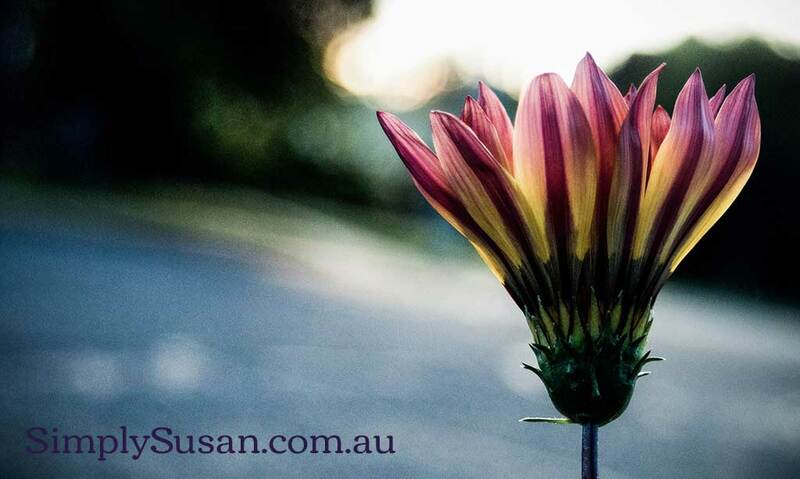 Great reminder Susan, of ‘seizing the moment’! There are so many opportunities in our day to impart some worthwile values into our children… and I know, myself, that many times I feel too lazy 😳 or busy 🙄 to talk and discuss these important things as they arise! We must keep our focus ‘focussed’ on that which truly matters…. I joined up to the my blog log thing. lol. btw yes this is your daughter. and umm, on your flicker thing…i give consent for you to put my pictures up there, but please, pleeasssseee(!!!!) make them good ones. not ones from my young, pimple faced, chubby cheeked, former days. lol. if you get me. i take plenty of decent pictures on your phone and i conveniently save them for you. whats wrong with them?